It’s no secret that Bogner makes some of the best ski apparel and accessories in the world, but most people wouldn’t consider Bogner a ski manufacturer. 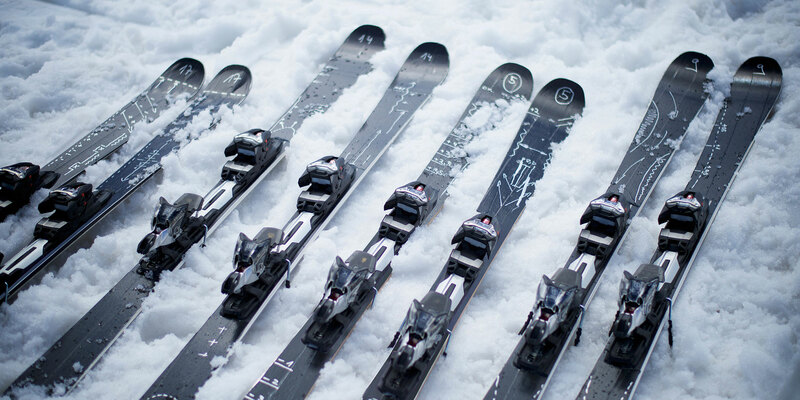 These people would be wrong: twelve years ago, Bogner teamed up with the superb ski manufacturer INDIGO to create Bogner skis to match the quality of the apparel. Former ski world champion Frank Wörndl has worked tirelessly to develop the best ski for Bogner for the past two years. Wörndl’s goal is to create the perfect all-round ski for advanced, discerning skiers who simply don’t want to lug around and maintain three different pairs of skis. After developing this concept with INDIGO, the Fineline ski series was born. The Finelines are “full-rocker” skis, making them perfect all-rounders: they’re ideal for slow, deep-snow descents and speedy runs down groomed pistes alike. The secret to their versatility is their “full rocker” shape. Unlike cambered skis, which curve upwards in the middle and are ideal for hard-packed snow and free-styling, rocker skis curve with the ends pointing upwards. This allows the skis to “float” better in deep snow and reduces the risk of the ends and edges “catching”. Slow turns are made easier because the skier does not necessarily have to turn onto his edges, he can simply pivot. When making harder, faster turns in groomed powder, the skier can also turn quicker and more easily once he leans onto his edges due to the curved shape. In addition to specialized variations for men and women, the Fineline skis are available in two variations catered uniquely to high-speed and deep-snow skiers. 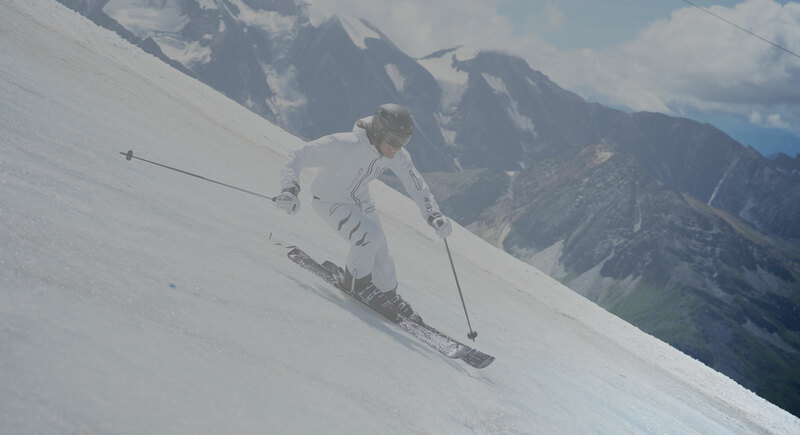 Both variations use a mixture of high-quality materials, but the high-speed skis contain a higher ratio of titanium, while the deep-snow skis rely primarily on fiberglass. The high-speed skis come in an elegant matte black, and the deep-snow skis in pure white: both offer a pleasantly striking aesthetic. The new Fineline series will be presented at the ISPO conference in May, 2017, and will be available for purchase in winter next year. This year’s edition of the Bogner Fineline series is already available – for more information, visit our partners at INDIGO.